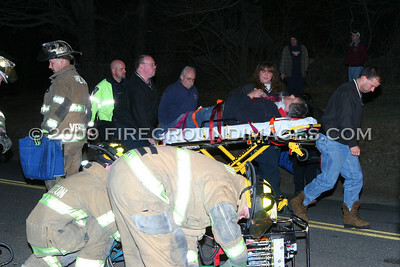 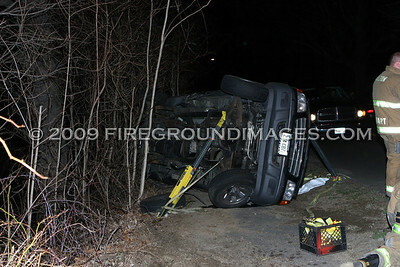 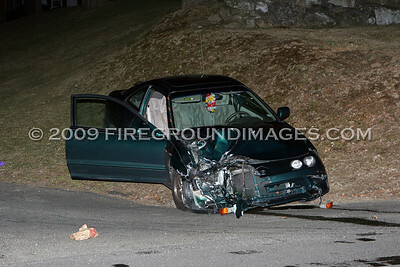 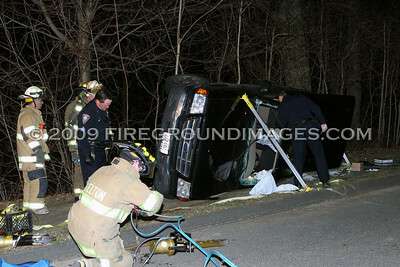 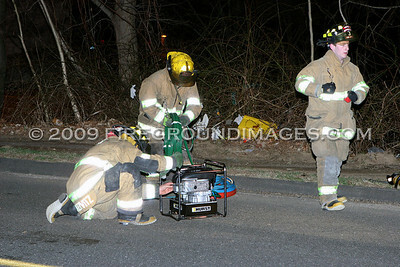 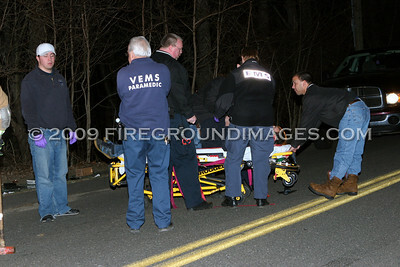 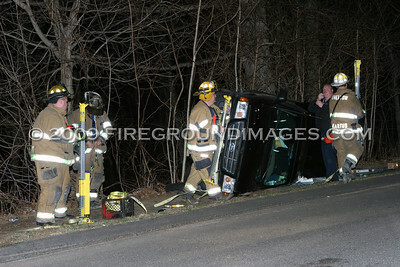 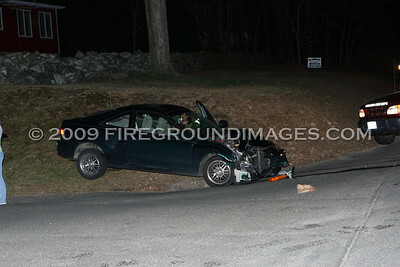 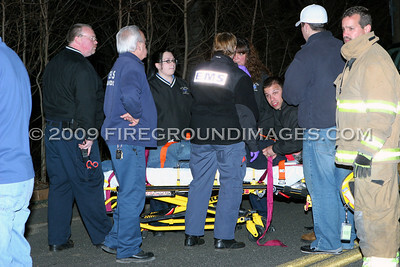 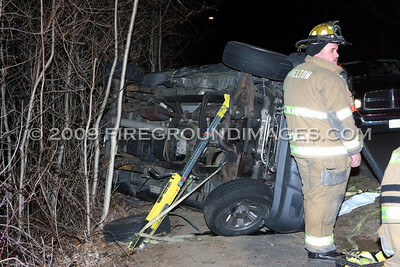 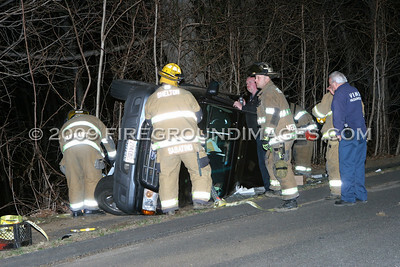 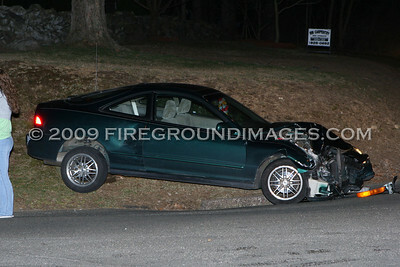 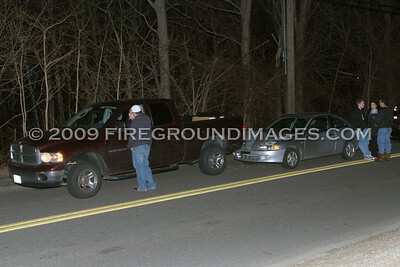 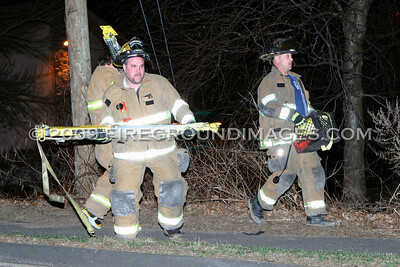 SHELTON, CT – At approximately 10:45pm on March 30, Shelton Fire Companies 1 and 4 responded to Long Hill Avenue at Broc Terrace for a rollover. 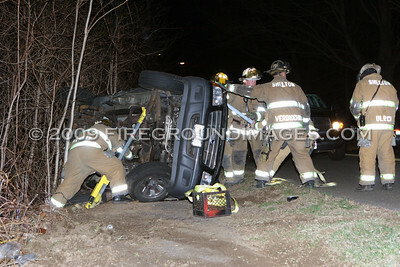 Once on scene, units found a pickup truck on its side with one male passenger trapped, and three other damaged vehicles. 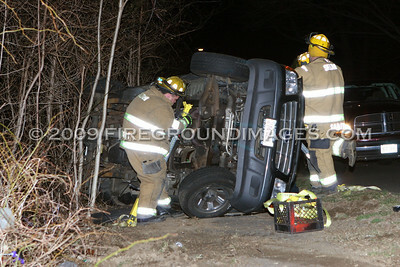 The passenger of the truck was quickly extricated after the vehicle was stabilized. 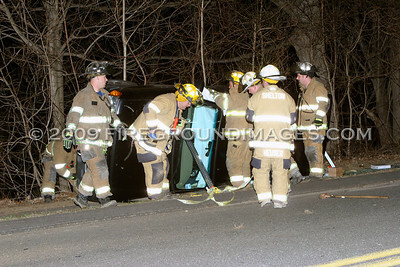 There appeared to be no major injuries from any of the four vehicles, but two of the four vehicles sustained heavy damage.